Am I Writing a Memoir or a Book of Devotions (Or Both?)? Hey guys! I’m sorry it took me so long to update this blog. I’ve had a few ideas and have been meaning to post for awhile, but what can I say…life happens. I spent most of my summer working only one job and not focusing on writing (I probably should’ve focused on it at least a little bit, but I really needed that break!). I wanted to spend as much time with Evan as possible before I had to go back to school. As a result, we grew closer and our love for each other is stronger than ever. He’s such a gem. There’s definitely a few stories about our adventures together in the works – so stay tuned! What I want to talk about today though is my current cochlear implant book project and the genre I am writing in. As you guys all know I have been working on a memoir about my cochlear implant experience. Writing a memoir has been a no-brainer for me and strongly encouraged by my professors, mentors, and peers. Memoirs are reflective pieces of non-fiction that draw largely on a person’s memories which is exactly what I have been doing with this project – discussing my life before cochlear implants and the memories I have with hearing loss, talking about how my life has and is still changing since being implanted, and reflecting on what it all means. This semester as I finish up the last two classes I need to earn my MA in Writing, I will be working on a special project in my Creative Non-fiction class. I had my first class on Tuesday night where I met with my Professor Joe “Sam” Starkins. I was honest with him and talked to him after class explaining how I already finished my Master’s project (which confused the heck out of him and well honestly it confuses the heck out of the entire department, from what I’ve been hearing) but still want to work on my project since it remains largely unfinished. I explained how it was a memoir about my cochlear implant experience and asked if it would be okay if I continued to work on it and to revise it. To my surprise, while Professor Starkins did not necessarily say no, he also didn’t exactly say yes. He explained how the class was a workshop and as a workshop would work better if I presented an entirely new project. “Can I write a book of devotions? I do have an idea for that. I know it’s a kind of weird idea but it’s something I’d really like to explore,” I said. Surprisingly, he said yes and actually seemed kind of excited about the project. So, here I am. Initially my idea for the book of devotions was to write using all bible verses that focus on hearing the word of God and listening to what God has to say. Verses like Isaiah 35:5 and Romans 10:17 came to mind. I took my first stab at the idea of writing a book of devotions when I revised my in-class exercise. The exercise was simply to write a scene in class for 15 minutes without stopping. My memoir came to mind first (I didn’t know at this point in class that I would be discouraged from working on that project) so I had to think back to what parts of my memoir I didn’t already have written and/or what needed the most work. The scene where I met Sherry in Miracle Ear came to mind first, probably because I have been thinking about it a lot lately as it happened almost exactly four years ago to date. To revise, I had to condense a lot of the scene and focus on only the most important parts and then expand it to at least 500 words. This scene in particular I don’t think quite fit in to the idea I had of focusing the book on verses that relate to hearing God’s word and listening to what he has to say, but it did fit in nicely with trusting the Lord, so I pulled from Proverbs 3:5-6 (my life verse) as the main verse and also referred to Psalm 27:14 and Jeremiah 29:11 for reference. Whether or not I stick with my initial plan of writing a book of devotions about hearing the word of God and listening to what he says or if this becomes an entirely different book of devotions focused more on hearing loss and my cochlear implant process is to be determined, but I’m super excited about this project and proud of what I’ve done so far. I’d like to share it with all of you, so please see the very first devotion posted below. I welcome your feedback and critique, but at the same time please keep in mind this is my first time dabbling with this genre. I have read many books of devotions but am still learning what the form/style is (side note – if anyone can recommend a craft book on writing devotions I’m definitely in need of suggestions!) So please read, enjoy, and leave a comment letting me know what you think! “Is there anything else I can help you with today?” Sherry asked as she handed me back my left hearing aid. She had finished cleaning both of my hearing aids and changing the plastic tubing on them. I placed the old, yellowed ear mold inside of my ear and swung the processor around my ear. I smiled, happy to finally be able to hear some sounds, even if it was limited and even if I didn’t always know exactly what those sounds were. I looked up at Sherry who was sitting on the other side of the table in her office chair so that I could read her lips and make out what she was asking me. “No. I’m good,” I said. “Actually, if you don’t mind there’s something I’d like to ask your opinion on,” Mom said. I looked at her, puzzled. Every month or so I visited Miracle Ear to have the plastic tubes changed on my hearing aid since they would get moisture in them and harden and shrink, making it difficult to hear. While this was my first time meeting Sherry and attending the Turnersville Miracle Ear location, the appointment itself was nothing out of the ordinary, just the same tried and true routine. I let out a sigh and rolled my eyes, hoping my mom didn’t notice my natural reaction. Dad asked Mindy all about the hearing aids at my last appointment and Mindy told us about them and even let me try on the model they had on hand. I felt like I already knew everything there was to know about these hearing aids. They were not only the best option for me at the time, but my only option. Or so, I thought. I looked back at Sherry as she inhaled deeply and held her breath for awhile before slowly exhaling. “You don’t have to say a word, your expression says it all,” Mom said. “Okay, so then what do we do?” Mom asked as I listened, unsure of what to expect. “Have you ever considered getting a cochlear implant?” Sherry asked. Mom and I both looked at each other before saying no and explaining how we were previously led to believe that cochlear implants were a dangerous form of brain surgery that would likely not work anyway. “Oh no, not at all. You guys need to go home and do your homework then let me know what you think,” Sherry said. That night Mom and I began our cochlear implant research process. I turned to social media to look for real cochlear implant recipients and what their experiences were while Mom looked for more academic sources and articles. Together we shared notes and our thoughts. We didn’t know what would happen, but we knew that if we put our faith and trust in the Lord he would walk with us and show us the right path to take. Hey guys! Hope all of my East-coast friends are staying warm and dry in this crazy snow storm! I don’t know if it’s the snow or what, but I received an incredible surge of inspiration and had a major Eureka moment in regards to the opening chapter of my memoir. I thought a better opening would be something more reflective in which I show what is going through my mind moments before I received my first cochlear implant tied in with flashbacks on my life before I was implanted and the time when I was first diagnosed with profound hearing loss (the yellow brick road chapter). This needs A LOT of work still, obviously, but I’m pretty happy with the first 1,000 which are the new words that I added today. I am also in the process of interviewing my mom for more details with the original yellow brick road chapter. She said she’d need some time to think about many of the questions I had as she tries to remember, but I’m hoping to get some answers from her soon to better flesh out that chapter/add more details. Regardless, I hope you enjoy the revised opening chapter. Feel free to leave a comment on this post letting me know what you think! I am not sick or injured. My journey begins now. Today I will receive my first cochlear implant, and if all goes well with the surgery and recovery, next month I will be activated and Lord-willing, hear, like a normal hearing person, for the first time in my life. If this works, my world will forever change, hopefully for the better. If this doesn’t work, I risk losing the approximately 7% total residual or natural hearing I have left in my left ear. This residual hearing is currently being amplified by hearing aids. Amplify [am-pluh-fahy]. Verb. – Increase the volume of (sound). Notice how it doesn’t say anything about clarity or being able to understand or comprehend what those sounds are. That’s what’s missing. Hearing aids amplify sound, but they don’t give me any clarity. My cochlear implant is supposed to fix that. But if it doesn’t work, I’ll lose my ability to even amplify sounds. I’ll be left with absolutely nothing in my left ear — silence. Get caught in the rain. Experience church in a whole new way. See a movie at the drive-in. Hear a flute, bell, violin, and any other instrument I couldn’t hear before. Listen to Pink Floyd’s “Dark Side of the Moon” in its entirety. Order food out on my own (restaurant and takeout/Dunkin). See a concert (preferably Good Charlotte). I didn’t even want to think about what my life would look like if the cochlear implant didn’t work. Would I be forced to learn ASL? Would I join the Deaf community? Could I manage to get by with the remaining, un-implanted ear? Thinking about what would happen if the cochlear implant worked was fun but thinking about the alternatives was terrifying. I had faith and trust in God that the cochlear implant would work. I prayed constantly and attended church as much as three times in a single day. For the weeks leading up to this day I had both Gloucester County Community Church and Washington Baptist Church praying for and with me and even met with the deacons and deaconesses at both churches. “God is going to give you an incredible gift. Now it’s your job to figure out how you can use it to serve the Lord,” the deaconess at whose name I cannot recall told me as I met with her in the chapel at GCCC. I was so excited to begin my new life as a hearing person that as the date of my surgery came closer, sleep became more and more difficult. I’d stay up for 20 or more hours at a time, keeping myself busy by binge watching all 9 seasons of How I Met Your Mother and when I got bored of that, I’d clean everything in sight. I no longer had any concept of time. “Do you really have to clean your toilet at 3 in the morning? I’m trying to sleep and all I can hear is your toilet flushing,” Mom complained. “No more cleaning. I don’t wish to smell all of your chemicals first thing in the morning,” Dad pleaded. Last night, I could hardly sleep at all. The Patriots played the late night 8:15pm game against the Colts. “Don’t stay up too late, you have a big day tomorrow. You know the Patriots are going to win anyway,” Mom warned. “Oh, let her stay up. She’s just going to sleep through the surgery anyway. Does it matter if she’s tired?” Dad said. I stayed up for the whole game and then spent most of the rest of the night in bed, browsing Facebook, Twitter, and Instagram on my phone. By 5:30 AM, I was wide awake, dressed in my brand-new button down fleece pajamas (mom said there was no sense in wearing real clothes, I’d be better off being comfortable and I’d need to wear button downs to avoid pulling shirts over my head post-surgery anyway), and ready, a full two and a half hours before I was scheduled for surgery. Now the day is finally here. Dr. Wilcox just came in to tell me everything would be okay and to instruct the anesthesia team to begin. I have a plastic mask on my face, covering my mouth and nose. I can hardly keep my eyes open anymore as I feel my body surrender itself to the anesthesia. When I wake up, I’ll be a cyborg. In another month, I’ll be activated, and I’ll finally be able to hear, Lord-willing. If this works, I’ll be able to hear for the first time in my life, or at least, the first time since my mother discovered I was deaf at the mere age of two. When I was two, Mom would call out my name, but I never responded. When she mentioned it to my pediatrician during my next checkup, the pediatrician thought it was just a phase or a case of the “terrible twos”. “No, I know my daughter. She can’t hear me,” Mom would argue. When my mom clapped behind my back and I didn’t flinch, she knew something was wrong. Against my pediatrician’s advice, my mom took me to see Miss Terri, an audiologist at Cooper Hospital in Camden, New Jersey. After performing a series of hearing test, Miss Terri confirmed what we already knew: I had hearing loss. What we didn’t realize was how severe my hearing loss was. Miss Terri explained that my hearing loss was profound, meaning the only sounds I could hear were those that were at a volume of 90db or higher such as airplanes, helicopters, firetrucks, and possibly a lawn mower. Hearing aids were recommended to amplify these sounds, but my ability to hear and comprehend sounds, even when amplified, would always be a challenge. After being diagnosed with profound hearing loss, I made the journey to Camden once every two weeks for speech therapy lessons. Mom and I would drive from our small condo in Washington Township to the big city every other week. On our way in, we’d pass endless food and street vendors selling everything from hot dogs to pretzels and even random t-shirts. It amazed me how at 9 o’clock in the morning people would still be out selling lunch foods. Everyone always had a smile on their face and seemed happy to be working. “Mom, I want to live here one day. I love the city,” I said on our way in for my appointment. “That’s because you don’t understand what this city is really like. It’s not safe,” Mom explained. I’d understand it more when I got older and would see individuals hauled off by police for God knows why on more than one occasion. But as a child, it was a magical place with audiologists and speech therapists that thought the world of me and were helping me to hear and speak well. Since speech and hearing worked so closely together, my appointments were run by both my audiologist, Miss Terri, and my speech therapist, Miss Vicki. Miss Terri would always start my appointments by testing my hearing. She would lead me into a gray, audiology testing booth that was no more than 50 feet wide while my mom waited and watched outside in the hall. Miss Terri would then crookedly place a special pair of headphones over my ears and hook some wires up to my hearing aids and hand me a button. “First we’re going to test the beeps. Push the button whenever you hear a beep. We’ll start with your left ear first before moving to the right,” Miss Terri explained. I’d smile and nod and occasionally give a thumbs up to let her know I understood. I loved pressing that button. It felt like I was playing a video game where hitting the button was the equivalent of shooting the monsters and bad guys and freeing the victims. I never even noticed that the button didn’t get pushed half as often as it should have. Once that portion of my hearing test was completed, I would be given a series of words that I’d have to say back. “Say the word hot dog,” Miss Terri said. “Terri, I’m sorry but I have to stop you,” mom interrupted. Miss Terri and I both looked up. I was doing so well with the words, what could possibly be wrong? “She’s not actually hearing you – she’s reading your lips,” said mom. “I can fix that,” Terri said as she grabbed the sheet of paper with her word list. “I’m going to cover my lips now. I want you to focus on what you hear, not on me.” Miss Terri said. I was nervous, but knew I had no choice but to try my best. I nodded in agreement. I didn’t know what Miss Terri was saying, I could only guess, but I knew I was wrong. When Miss Terri finished with the hearing test, it was on to either Miss Vicki for speech therapy where we would do different activities. One of my favorites involved using what I liked to refer to as the “magic mirror”. It was a long, oval-shaped mirror that rested in a tan wooden frame on wheels. There was nothing actually magical about it; it was just a regular mirror that I was allowed to draw on with magic markers, but I always loved this activity. I was never allowed to draw on the mirrors at home. I thought that this mirror was special since I could draw on it and the markers would wipe right off when I was done. As a two-year-old, the only logical explanation for how this could work was that it must have been magic. Before I could draw on the mirror, Miss Vicki put me to work by having me practice my speech. “Okay. Let’s practice our “Sh” and “Ch” sounds,” she’d say. “We’ll start wi“Sh!” I said. It was easy for me to think of the sound as a syllable, as if Miss Vicki was the teacher and I the student, getting yelled at for talking. “Very good!” she said. “Now, I’m going to give you a word. Can you say “choose”? “No, not shoes like on your feet. Choose like when you choose something to eat,” she said. “No, look in the mirror. You want to move your tongue up a little bit and touch your teeth,” she said. “Yes, that’s right! Very good! Want to take a break and draw on the magic mirror?” she asked. I nodded yes and reached for the bucket of magic markers, choosing the pink one first, my favorite color. I drew a big heart on the mirror with several smaller hearts for arms, legs, and even eyes. My little heart person, my favorite thing to draw. When I finished my masterpiece, Miss Vicki would continue with our lesson. “Okay, Kimmy. We’re going to play a game now,” Vicki said. “You’re going to take this ball and throw into the trashcan across the room. But as you throw the ball, I’m going to give you a word to say and I want you to imagine your voice going with that ball. As you throw the ball you’ll want your voice to get louder. Got it?” she said. I nodded. I wasn’t sure if I really understood, but the idea of throwing a playing a game sounded like fun. The game sounded like basketball, a game I’ve always enjoyed watching my dad play. “Okay. Your first word is suitcase,” she said. “Suitcase,” I whispered as I threw the ball. I took the ball back from her and paused as I remembered Mr. Loud Mouth. “SUIT CASE,” I said. “Very nice! You got it!” she said. Being a toddler with profound hearing loss was easy. Nobody asked any questions about my hearing loss or questioned anything that I did or didn’t do. My parents couldn’t have been more supportive and understanding of my hearing loss. My sister paid no mind to it. And my audiologist and speech therapists couldn’t help me enough. I was a toddler without a care in the world. The only thing that made me different from any other toddler in the world was the fact that I couldn’t hear. I was able to live my life in black and white or sometimes sepia. My world was full, but not always beautiful or complete. The older I got the more I realized that living as a deaf girl in a hearing world was a lot like living in a world without color. Hi guys! For those of you who don’t know, I’m in my second year of the MA in Writing program at Rowan University. What this means is I am now taking Seminar I and beginning the bulk of work on my 30,000-word MA project, which of course is my memoir detailing my cochlear implant experience. I already have two drafts of my novel, plus this blog here, under my belt so now comes the fun (or not-so-fun, depending on how you look at it…) part of revising. 7. The Most Magical Place on Earth With the Most Magical, Bionic Ears, on Earth. 9. Epilogue: It’s Not Over Yet. Some of these chapters are going to be arguably easier than other ones to write. I am particularly having trouble with Chapter 1. In my first two drafts I wrote several chapters on my experience growing up in public schools in the hearing world and fighting for my rights to take standard college-level and honors/AP courses as a deaf student. I am realizing now I don’t need ALL of that material, but rather than I should be focusing on maybe just one specific memory, but I’m not sure which memory is worth focusing on. I think this is an area where I really need the help of my second reader, Professor Julia Chang, for advice. Rather than delaying my progress and work on this project as I consider what to do with Chapter 1 I thought it made more sense to kind of write my third draft out of order by choosing the memories I know I want to write and have a vivid memory of already. I decided to begin with my favorite post-cochlear implant memory…the trip I took to Smithville with Larry on Day 4 post-cochlear implant activation. Check out the link to my original post for reference, and read the re-write down below. I hope you all like it as much as I did. Please note: Larry and I have been broken up for two years now and have not said a word to each other since hanging up on each other and calling it quits. We are not on good terms or any terms at all. This lovely memory was just that – a lovely memory that exists only in past and that’s all I’d like to say about that. Everything I said is 100% truth. I write about Larry in order to tell my story and my story only. On day four of post-cochlear implant activation, all of the little pieces began to click. It was like the newly implanted electrodes and magnets finally learned how their relationship was supposed to work to connect the dots from the sound in my ear drum to the processing unit in my brain. Mom suddenly didn’t sound like Minnie Mouse anymore (okay, well not as much anyway) and some songs were beginning to actually sound like songs, and not just random noise. I knew I still had a long way to go and many new sounds left to discover and learn, but things were finally beginning to sound ALMOST normal, whatever that meant. I had plans to see Larry for what would be our first date in over a month and I couldn’t have been more excited. Our silent games of cards and Nintendo were nice, but I was itching to get out of my house and to finally have a little alone time with Larry. Plus, I couldn’t help but consider the big question on everyone’s mind – How would Larry’s voice sound to me now that I’d actually be able to hear it? Larry picked me up at around 6pm in his trusty old, beat up green truck. I was never a big fan of the truck, but for the first time in my life I was thrilled by the sight of that truck because I knew what it meant: I was finally going somewhere. Alone. With Larry. At last. “I’m here.” read the latest text on my Android phone, but I already knew and had the door wide open before the message even came through. I mapped out his route and knew exactly when to expect him at my condo and watched him pull up. I was excited to see him, but I really couldn’t wait to finally hear him. He looked so handsome. For once, he actually made an effort and traded in his faded, worn out t-shirts and dirty jeans for a nice collared shirt and a pair of jeans that at least didn’t have any dirt on them (so what if they were a little faded?). The smell of his British Sterling cologne was intoxicating. I smiled from ear to ear. I could actually hear him without having to ask him to repeat himself for once. I was too excited to speak, so I just smiled and nodded. “That looks so cool. It’s blue, my favorite color!” he exclaimed. “Yeah I know. I wanted the red one but they stopped making it so blue was my second choice.” I said. “So, where do you wanna go?” he asked. “Did you get the thing I sent you on Facebook?” I asked. “Yeah. Did you wanna do that or Longwood Gardens?” he asked. “I was kinda leaning towards Smithville. Longwood Gardens is expensive and the tickets are timed and if you’re late you’ll miss it and they don’t refund you.” I explained. “How much is Smithville?” he asked. “Where that at?” he asked. “Galloway. I think it’s like at the shore but not the shore. Like before you get to the actual shore,” I tried to explain. “I don’t drive. I dunno. GPS it!” I said. Larry pulled out his phone and looked it up. “Okay I remember this. I went with my grandparents and cousins as a kid. It’s not too bad.” he said. “Where are you guys off to?” My mom said as she came out from her bedroom. “It’s like this little village or something. Some of my friends went and it sounded cool. I think they have a lot of Christmasy things. I want to hear a lot of noise!” I exclaimed. “Your voice is beautiful,” I said. I wasn’t sure if I meant it or if I was just saying it because of how in love I was and how happy I was to finally be able to hear him speak and to have a conversation that existed outside of writing down notes or texting each other. It’s been a rough month as far as communication went. “Thank you,” Larry said, as we both laughed together. “This is weird. I know. But I can hear now.” I said. “What do I sound like?” he asked. “Take a look.” he said as he handed me his phone and pulled out of the parking lot. I scrolled down the list searching frantically for a familiar song. Celtic music. Scottish music. What in the world? Only my boyfriend would have music this weird on Spotify…I thought. Finally, I found something I recognized: “As Long As You Love Me” by the Backstreet Boys. Everyone told me that music was the hardest sound to learn after activation. Some people couldn’t ever learn it, but I was determined. Music still sounded terrible to me, but better than it did on day one at least. If I could find a song I was familiar with it didn’t sound too bad because I could use my memory to remember how it SHOULD sound and almost pretend that what I should have been hearing was what I was actually hearing. It’s like I was playing a game with my mind. Fake it until you make it, right? I just wanted to impress Larry with all of the things I could suddenly hear, even if I couldn’t understand them. Larry joined me and we sang together in harmony, “Who you are…where you’re from…don’t care what you did…as long as you love me…” and it felt like he was singing directly to me, serenading me with his love. Larry’s always sung to me, but now that I could hear him and almost understand him, his voice sounded ten times sweeter. When we arrived in Smithville I was immediately reminded of one of our first dates when we went to Wheaton Village. This was another cute, small village with mom and pop shops and crafts all over the place. Except there was SO much noise and it looked like Santa came through town and painted everything with Christmas cheer. There were lights everywhere I looked, a train going by every 10 minutes, and Christmas music constantly playing. “Look at the lights!” I said. We watched as the Christmas trees lite up and flashed new colors every few seconds. Some were purple, others were blue or orange. “Can you hear that?” Larry asked. “Christmas music?” I guessed. It was an obvious answer; we were in Christmas town, after all. “I can’t tell what song it is.” I admited, “But I know it’s Christmas music. “It’s Rudolph.” He said as he began to hum the tune. I nodded along, wondering if there were any songs I’d “get” that night. I haven’t really been able to understand any of the songs on the radio since we’ve arrived, but I was enjoying the sensation of hearing sounds and being able to at least tell there was some kind of music playing. “Do you want to go in the shops?” I asked. The lights were cool, but I was ready to explore everything else. “Ok. That one looks cool,” he said as he pointed to a native American shop. Larry has always been interested in Indians, just like me. We entered the shop and looked around. “I always thought Native American art was beautiful.” I said as we admire the crafts. Larry walked by the hat rack and tried on a feathered headdress. “Beautiful.” I said and we both laughed. He began to take it off. “No! I need a picture of it first.” I said. “Okay, but no Facebook!” he says. “I can.” I said. There weren’t any words, so it was easier to follow along. “What do you hear?” he asked. “Yes. What else?” he asked. “Uhm. I want to say guitar?” I guessed. “I know there’s other stuff, too, but I am not sure what else it is.” I admitted. “I want to hear a flute.” I say. “I don’t think we’re going to find that in Indian music.” he admitted, almost apologetically. “It’s okay.” I said as I push another button. We made our way from shop to shop. Most of the shops were filled with homemade goods that we had no intention of ever buying, but it was fun to look at them all anyway. I picked up the bell and held it to my ear, ringing it over and over again. Tears began to fill in my eyes. I can’t believe that I was really able to hear a bell. I may not have been able to hear everything clearly yet, but this was huge. I’ve never been able to hear high frequency sounds before and now I was clearly hearing one of the highest forms of high frequency sounds. “There’s some more over here.” Larry said. I walked over to the table where Larry was and carefully pick up each and every bell and rang it to my ear. They all sounded the same, but I had to ring them all just to be sure. I picked them up and placed them down carefully, being cautious not to break any of the glass or porcelain materials. The shop owner glared at me. Surely, she didn’t understand or appreciate this little routine. “Let’s go somewhere I else,” I whispered to Larry. “I don’t think she likes us doing this.” I said as I glanced up at the shop owner. Our next stop was a little punk rock shop known simply as “Underground”. Underground didn’t look like any of the other shops we’ve been too. The outside of the building was green like all the other shops, but the bright red doors made it stand out. There were no handmade goods or bells or frilly things. Everything almost looked like it was dead and there was hundreds of thousands of old records everywhere you look and walls adorned with famous concert posters from heavy metal bands. “I feel like I’m home!” I yelled over the heavy metal music blaring through the speakers. “What? I CANNOT HEAR YOU!” Larry yelled back. He looked horrified. “I LOVE THIS PLACE. IT REMINDS ME OF THAT RECORD STORE IN OCEAN CITY!” I said. I was pretty sure this was what heaven looked like, or at the very least, sounded like. I browsed through the stacks of records, but I didn’t recognize any of the names. This really is underground, I thought to myself. I reminiscenced on my middle school days back when I’d spend hours searching for local punk rock bands that no one has ever heard of, dedicating my life to being their little groupie, whether they wanted it or not (most of them didn’t). I focused on the songs blaring from the radio. I could feel all of the vibrations and could understand why Larry had to leave…it was LOUD! I had no idea what they were shouting through those speakers, but I didn’t mind. I was in pure bliss simply by the fact that I knew there was music playing, a feeling I hadn’t experienced in several years. Besides, wasn’t the point of heavy metal music to shout things in a mic and pair it with heavy drumming and guitars so no one knew what you were saying any way? “It’s screaming music. It’s not even music, they just scream,” my dad would always say. Like Larry, Dad never quite “got” the concept of heavy metal either. I spent a few more minutes soaking in the entire experience and all of the sounds before spotting and purchasing an Edgar Allan Poe shirt. It wa a nod to my Bachelor’s degree in English, but also a little memento to help me to forever remember this moment. “Okay, where to?” he asked. “Up to you,” I said. “How about Applebees?” he suggested. I never liked Applebees in the past because it was always too loud for me, but with my new bionic ears, I’m more than willing to give them another chance tonight. “Sounds good.” I said as we walked back to his trusty green truck. It’s a long way from Galloway to Deptford. I was sure there must have been another Applebees in a closer town to us, but Deptford was all that either of us knew, and we didn’t mind spending some extra time together. It was our first night out in over a month, and with Larry on the road all the time as a truck driver, we knew that opportunities like tonight would be rare and far between in the months to come. “I have something for you to listen to,” Larry said. “Hm. What’s that?” I asked. “Listen.” he said as he pushed play on a Spotify playlist on his phone. I listened closely for a few seconds before realizing there were no words to the song. “Drums?” I questioned. I was confident that whatever I was hearing must be drums. “I could swear I heard drums.” I said. I knew I was learning sounds, especially for instruments, but I didn’t trust Larry’s words at that moment. A drum was a drum was a drum. This was not a high frequency sound. I knew what a drum was. Or did I? “Nope. It’s 100% bagpipes.” He said. “Oh wow. That’s different.” I said. I was impressed that he remembered my love for bagpipes. I WAS Scottish and Irish after all. Bagpipes were what we did. “Yeah, thought you’d appreciate it. I know you said you wanted them at your wedding when we get married.” He said. When we arrived at Applebees, we were quickly seated and a waitress asked us what we wanted to drink. For the first time since we’d started dating, I was able to answer, “Water, please.” without having to look at Larry for clarification. For the first time in years, I didn’t need someone to translate or repeat what the waiter asked because I was able to hear for myself. The waitress brought out our food and we continued to talk as I glanced up at the football games playing on the TV every couple of minutes and Larry played his Transport Empire game. Usually I yelled at him for playing his game throughout dinner, but tonight I didn’t mind. His stupid game made so much noise, but I never noticed it before. Tonight was the kind of night where even the most annoying sounds were a blessing, because it was all so new and I couldn’t believe not only what I was hearing, but the fact that I was hearing at all. When we left Applebees and finally arrived back home, it was after 10. This may have seemed late for some people, but not for us. For us our first night together in a world of sound could have gone on forever, and we were in no hurry to watch it end. Larry parked the car in the back lot, away from all of the houses and other cars so as to not disturb my elderly neighbors who may have been trying to sleep. “Let’s not go inside,” I said. “Why? Mom asleep?” he asked. “I dunno. Can you sing to me?” I asked. Larry knew exactly what I was asking for. I was asking for more noise. More sound. More of him and his voice and to experience him in a way that was still foreign to me. I wanted to learn what music REALLY sounded like. I wanted to learn his voice. I wanted this night with just the two of us to last forever. He put his Spotify playlist on and we listened to each and every song. He moved our seats back so we could cuddle. I rested my head against his chest and felt his heartbeat as he sung along to the radio, holding me as tight as he could. He only stops singing every few minutes to kiss me above my eyes. When the last song played, it was Brad Paisely’s “She’s Everything” and I could swear he was singing each and every line from the bottom of his heart directly to me. “She’s a warm conversation that I wouldn’t miss for nothing…She’s a fighter when she’s mad and she’s a lover when she’s loving… And she’s everything I ever wanted and everything I need… I talk about her, I go on and on and on, ‘Cause she’s everything to me…” he sang and I felt exactly like I must have been the girl that Brad Paisley wrote his song about. “Love you, Angel,” Larry whispered in my ear. We fell asleep that night in his trusty, beat up green truck under a full night of stars to the sounds of Braid Paisley. Our own version of a Christmas song. Hey guys! Wow, long time no updates! I apologize for being so quiet lately I have just been so intensely busy! Juggling work full time at Penn Medicine with teaching part time at Rowan University and taking two classes a semester towards earning my MA in Writing for the past year has been no joke! I’ve really been enjoying everything I do though. None of this stuff would have been possible if it weren’t for getting my cochlear implants (or at least not teaching) and it has all been so incredibly rewarding. School has especially been an interesting experience for me. I am never shy from discussing my cochlear implants with anyone that will (or won’t…as is the case with at least some of my sleepy, bored students…hey I do teach at 8am afterall…) listen from students to classmates, professors, and really anyone in between. One of my students even mentioned that she wants to be an art teacher for the Deaf and learn ASL and hear more about my story. On the student side of things, well I’m continuing to work towards completing God Granted Me Hearing which will serve as my MA in Writing Master’s project. I have been doing significant research for this project especially on Deaf culture and ASL. There’s definitely a lot to learn and I’m really loving this journey I’ve been on. But enough about school, the real thing I want to talk about with this post is my hearing appointment I had at Jefferson yesterday morning. This appointment was one of the rare times in my life when I scheduled an appointment kind of “just because”. I mean I guess there was kind of a point to it – I haven’t had a hearing appointment in over a year and haven’t really followed up with anyone as much with my right ear post-activation as I did with my left. I guess it’s because I kind of knew what to do and expect and things have been going well for me. Also, I’m just so busy it’s hard to get around to scheduling appointments like that these days, but with my summer hours allowing me to have off on Fridays I thought it would be a good time to schedule a checkup just to make sure everything is working as it’s supposed to. I’ll be honest – I was pretty nervous about this appointment. For once though I wasn’t nervous because of my hearing abilities or how I’d test, but I was nervous because I’d be getting a new audiologist. I loved my last two audiologists – Dr. Louisa Yong Yan Liang and Alyssa Lerner (who was an extern when I had her, but I really liked her). Louisa left Jefferson to go to Chicago since her husband is a doctor and took a job there. Alyssa was in a similar situation where her boyfriend finished medical school and matched with a hospital in St. Louis so she left to be with him. This left me without an audiologist. With all of that being said, I was happy to hear that there was another audiologist I could see, Laura Somers. However, I was still nervous at the prospect of meeting someone knew and gaining a new audiologist. Fortunately, all of my nerves went away the moment I met Laura and her extern, Shelby Weinstein. They immediately made a great impression on me. They were as sweet as could be. One of the first things that Laura said was “Were you in an article…something about talking on the phone?” referring to the article that I did with The Philadelphia Inquirer. This right away made a great first impression on me because it showed me that she did her homework to familiarize herself with my case and my history. She was very personable and friendly which helped me to relax and made me feel comfortable during the appointment. She had an extern, Shelby Weinstein, who was also very nice. She was more quiet but friendly and seemed eager to learn. Laura took her time with everything she did to make sure to show Shelby what she was doing and Shelby seemed really interested and engaged with it all. The first thing that Laura did was check my settings and the volume on my right ear. The right ear was the main focus of my appointment since I’ve been doing so well with the left (which makes sense since it was the first ear I had implanted and it’s really common for your first ear to be your dominant or preferred ear since you’re more used to it and it’s also kind of a mental thing – getting your first cochlear implant is such a huge, impactful thing (or at least it was for me) that you don’t forget it. It’s still big and impactful with the second one, but not as much since you have something great already to compare it to whereas with the first one you may be comparing it to nothing. Laura explained to me that her main goal was to balance my ears out more. She played a series of sounds/pitches and gave me a “loudness chart” where I had to indicate if the noise was too soft, soft, medium, loud but comfortable, or too loud. Most of the pitches fell in the medium or too soft range. Laura turned it up a little bit. At first it was too loud and a bit overwhelming so she had to turn it down a little bit to make it more level. It seems pretty good now but I am still adjusting to it. I notice it the most when I put my processors on for the first time in the morning. Next Laura and Shelby took me into the hearing test booth and they tested my right ear. First they did the beeps and I scored in the normal – above normal range. This will never cease to amaze me. I still remember when I’d be lucky to have any ranges or pitches listed on the chart. When I was first considering my first cochlear implant I told my surgeon, Dr. Willcox, that I would consider it a success if I could have about 30% of my hearing (at the time I had at the most about 7%) and he said my expectations were way too low – he wasn’t wrong! Now I probably have around 80-90% of my hearing. Here’s where my hearing was on 6/29/2017 on my right ear…quite a difference! This test was from January 28, 2016 – a little over a month after having my left ear activated. The red circles at the bottom were for my right ear. This is almost a year before I had it implanted. Next, Laura tested me for word recognition with my right ear. I was a little bit nervous here because the last time I was tested for this in my right ear was on March 25, 2015 I didn’t do very well – earning on a 68%. However, I ended up doing just fine. I knew I was doing well – you really can just tell with these things if you’re doing well or not. The more I felt I got them right the more confident I became. In the end I performed even better than I imagined by earning a 90% – quite a big difference from the 68% I earned the last time! I only got about 3 of them wrong and I wasn’t off by that much on the ones I missed! For the final test Laura tested me with full sentences and she added in a high level of background noise – the highest level possible – to make it harder. She admitted that a lot of people with normal, natural hearing struggle with some of these. Honestly I think what makes this hard sometimes is how WEIRD the sentences are. One time I got a sentence that was something along the lines of “The monkey is using sign language.” This time I got “A camel is not the most comfortable animal on which to ride” and “Could you speak up a little?” which isn’t a weird sentence on its own, but when you say it in the context of a hearing test it becomes a little awkward and confusing – Laura actually asked me to repeat it probably because she wasn’t sure if I was saying back the sentence or asking her to repeat herself lol. #DeafProblems – right? I scored an 84% with this test. I thought that I got about a 70 on the sentences last time but I don’t see a record of it (I keep everything) so now I’m thinking this might have been the first time they did full sentences with my right ear? Either way it would be an improvement and I’m quite happy with these results! 126/150 or an 84%? I’ll take it! It sure beats my pre-cochlear implant scores of 0! My appointment concluded with Laura calling me a “Rock star” and telling me I was good to go until next year when I should come in just for a checkup unless of course something is wrong. She told me to keep her posted on my book and everything else. I was definitely impressed by both Laura and Shelby’s care and I look forward to working with Laura more in the future and I hope that Shelby stays at Jefferson so I can work with her more in the future as well because she seems like she’s going to be really good once she finishes her schooling. Hey guys! Merry Christmas Eve Eve! Today is a really special day for me because it’s the 1 year anniversary of being activated on my right ear. Hurrah! I apologize for the lack of updates. I know I promised you guys back in like August that I’d post on what it’s like to teach with cochlear implants…and now it’s the end of December…sorry! Between working full time at Penn Medicine, teaching 3 times a week at Rowan, and taking two graduate courses towards my MA in Writing, I haven’t had much time for blogging. But the good news is that winter break is finally here giving me a little bit of free time to give you all an update! Before I begin I just want to apologize ahead of time for any major typos in this post. My laptop is currently on life support and the R, Y, 7, and perhaps some other keys I’ve yet to discover are currently broken. I’m actually using an external keyboard to type most of this. I know I should be less stubborn and give in and buy a new laptop (my current one is about 7 years old, after all) but I just love this one so much I’m not quite ready to part with it (and to be honest I’m waiting to be able to use my leftover loan money for the Spring semester so I can purchase one from the bookstore with boro bucks…). Well anyway where was I? Oh that’s right…teaching. What it’s like to teach with cochlear implants. As I mentioned in the past, this past fall semester was my first time EVER teaching. I taught a class of 18 (well, it was originally 18, turned into 17 when one of my students withdrew from the class) three times a week…Monday, Wednesday, and Friday. All of my students were freshman taking Intensive College Composition at Rowan University. This was a first-year writing class for Freshman with lower test scores on their SATS that needed an additional day of class each week for extra support. I am currently in the process of earning my MA in Writing and I have no prior teaching experience. I am able to teach as part of my MA in Writing program through acceptance into the Teaching Experience Program (TEP) at Rowan University. When I first started teaching I was honestly terrified. I think I practiced my first-day lesson about 20,000 times before teaching my first class on Friday, September 2nd. I’ll be honest, I was a little nervous about how my students would react to my cochlear implants at first. Being silver and blue, they definitely stand out and are kind of hard to miss…something I’m proud of. I never wanted to hide my cochlear implants from the world and never tried to hide them on anything. However, I assumed most of my students had never seen cochlear implants, wouldn’t know what they were, and never been around a deaf individual. I felt kind of vulnerable on my first day of class. I wasn’t sure if my students would take me seriously if they knew I was deaf, but at the same time my deafness was something I was proud of and wanted to make known to my class. Here is a screenshot from my “First Day of Class” PowerPoint. I probably spent a little too much time talking about myself, but I was so nervous and they were so quiet! My students probably forgot that I said that last statement immediately after I said it, but for some reason it really stuck with me. I felt like after I said it I HAD to hear my students and that asking them to repeat themselves would be like I was lying on contradicting myself and that it would cause my students to lose trust in me. Unfortunately, my students tend to mumble and speak softly on occasion, and this was especially true on the first day when all of my students were still really shy and fearful and not at all familiar with the college experience (they were freshman, after all). I found myself using coping strategies I used back when I was a camp counselor and couldn’t hear what kids were saying to me…I just smiled and said “Yeah” or something of that sort and moved on. Fortunately, this only happened once or twice on the first day. As the semester went on my students and I quickly came to know each other and built up a strong sense of trust in each other. I would often tell my students they were like my children and I always meant that. I can’t begin to tell you what these kids meant to me. I wanted nothing more to see them succeed and nothing in the world was more heartbreaking to me than seeing a student who was not living up to their potential. By the third day of class I knew everyone’s names. By the 2nd full week I could give a little bit of biography or backstory on each of my students. I knew I was going to like teaching, but never expected to love it as much as I really did. I realized teaching was one of my biggest passions in life. I became more comfortable with my deafness in the classroom as well as time went on. My students never questioned my cochlear implants or my deafness. They seemed intrigued by it, but they were very respectful of me and they didn’t seem to mind having a deaf professor at all. They were very accepting. I tried to use my deafness in my lesson plans wherever appropriate. For example, when introducing my students to the concept of Grit for their second project in which they had to join the conversation of Grit and connect it with their own personal lives, I shared my story of overcoming challenges as a deaf student prior to getting a cochlear implant. I explained how statistically most deaf children can’t read or write and how my initial elementary school tried to label me as being special needs even though I was very intelligent simply because I was deaf. I even shared with my students about how I challenged my senior seminar professor and filed a report against him for discrimination my last semester of undergrad. I used these experiences to show how I had grit – the passion and perseverance to overcome great challenges to succeed. This was one of my favorite lesson plans to teach. I don’t think I’ve ever seen my students more focused or attentive than they were that day. While my students didn’t question anything I told them about my personal story that day, it was clear that I had their full and undivided attention. They were hooked. I want to use my deafness to inspire my students in my classroom. I want them to see that they can do anything they set their minds to, no matter how difficult it may seem. Whenever someone tells them they can’t do something, I want them to work twice as hard to prove that individual wrong. I also want to teach my students to be loving and accepting of others and their differences. I want them to see my deafness not as a DIS-ability meaning “not abled”, but rather as meaning “differently abled”. I want them to realize that the deaf can do anything the hearing can do except hear. They can still succeed and have the same opportunities for success in life. Lastly, as a professor I want to make sure I am giving my students every opportunity I can to see them succeed. I know what challenges I faced as a student not being able to hear in class (I didn’t get my cochlear implants until after I already graduated from undergrad). One way that I do this is by making sure I always air closed captioning on any video I play in class (I use videos when I teach a lot in class). I know it sounds like such a small gesture, but it can make a huge difference when it comes to learning. Remember, just because a student doesn’t come to you and tell you they have a hearing impairment doesn’t mean it doesn’t exist. Also, reading the captioning in addition to listening to the audio of videos can further help students to retain the information presented in the video and further enhance learning. My first semester teaching Intensive College Composition I has definitely been a challenge, but it has been such a blessing. I had an amazing class of students who always kept me on my toes and I learned so much from each and every one of my students and I hope that they learned equally as much from me. I am so thankful to have had the opportunity to teach them, something that prior to receiving my cochlear implants I never thought would’ve been a possibility. I am so excited to teach again in the spring and to see what my next class has in store for me! Hey guys! Long time, no talk! I can’t believe I haven’t updated this blog since April! Huge apologies for that — I’ve just been so incredibly busy these past few months – mainly with starting my new jobs! Starting a new job with a cochlear implant can be quite a different experience from back when I started new jobs without the ability to hear. This post will explain why. First off, a little bit of background information. I left my old job at WebiMax at the end of April. I worked there for about 2 years and 7 or 8 months, so really close to 3 years. When I first started working at WebiMax I did not have my cochlear implants yet, so I relied solely on e-mails and instant messages to communicate. After getting my cochlear implant I saw my roles at WebiMax grow and with my new ability to hear on the phone and to hear audio like in YouTube videos, my usual duties became much easier to perform and I was promoted to Assistant Marketing Manager and later Digital Marketing Manager – SMO. I can’t really discuss why I decided to leave my old job other than to say I knew it was time and I needed a change. I started to apply for a new job quickly after recovering from surgery with my 2nd cochlear implant. I think I got really serious about it in January. When I last counted, I sent out over 100 job applications from January – May. So, my ability to hear combined with my skills and experience didn’t make this process any easier. However, when I did interview for positions, I felt that it always went much smoother and I was a lot less anxious than I was three years prior when I interviewed for jobs before getting my cochlear implant. I think I interviewed with about 3 or 4 companies in person and did 2 or 3 phone interviews (that never went further from that) with different companies. I very rarely had to ask anyone to repeat themselves in these interviews which I think helped me a lot. I think sometimes people would look at me weird for my cochlear implants, but they very rarely asked about them (probably because legally they were afraid they couldn’t). I felt like my phone interviews were clumsy since I still didn’t have strong phone skills yet. I always wanted to try to avoid them, but most people wanted a phone interview before bringing me in, so I just kind of had to deal with it. During my first in-person interview with Penn Medicine, whom I accepted a job offer from (more on that later), I opened up about my cochlear implants to the second interviewer and shared my story and how I was writing a book about it. That’s something I normally didn’t do at interviews, but it felt right since I was interviewing to work with a medical company. The interviewer was very intrigued by my story and this helped me to open up more not just about that experience, but all of my work experiences in general. But it didn’t work out with the girl they initially hired, and less than 2 weeks after being told I didn’t get the job, I was contacted again and made an offer which I accepted immediately. Working for Becker’s was pretty good. The people who work there are all some of the nicest people I’ve ever met in my life. Although my time at Becker’s was short, I was able to do many different things. For the first week or two I watched a lot of training videos on Google Analytics and SEO which were provided to us by a marketing partner. These videos were extremely helpful and I didn’t have to worry at all about whether or not they had caption because I could hear them perfectly with no issues. One thing I had a hard time getting used to or adjusting to was that they didn’t use instant messaging like WebiMax did…everyone had a phone and they called each other if they needed something. My phone used to give me really bad anxiety. I was always afraid my boss would try to call me and I wouldn’t hear it and he’d think I was ignoring him and I’d get in trouble. Sometimes I’d hear one of my co-workers phones go off and think it was mine and try to answer my phone only to realize it wasn’t ever ringing. I had a hard time deciphering between my phone ringing and my co-worker’s phone ringing. Once I even had a panic attack and emailed my boss saying “Hey I’m not ignoring you if you call me and I don’t answer, I just have trouble hearing it”. He was always very understanding. My co-worker/office mate and I had cubicles right across from each other with a giant wall in between, so sometimes she’d try to talk to me through the wall even though we couldn’t see each other. This was great because I could hear her with no problem – something I never could’ve done prior to getting a cochlear implant. However, sometimes she’d be talking to someone else or on the phone and I’d mess up and answer her because I thought she was talking to me. I had a hard time knowing who she was talking to or when someone was talking to me. When someone was on the phone near me with a client I would also struggle to focus on my work. I’d hear their whole conversation and focus on that instead. Sometimes I wanted to take my cochlears off so I wouldn’t be distracted, but I was afraid that would make me look rude or that I’d end up missing something important when someone did need to talk to me. In the short couple of months that I worked at Becker’s I was able to join in many meetings with vendors which was always neat. I loved seeing the new products they had to offer us and the people were usually very nice. I also met with some designers and other partners. Once we even took them out to lunch with us. I never had to ask anyone to repeat themselves and I could always hear everything – even when we talked in the restaurant which was kind of dark. I was much more relaxed working at Becker’s probably than I was working at any other job I’ve ever had. I didn’t have to focus so hard to hear what people were saying. I could perform my job and hear everything just like everyone else. I left my job at Becker’s in July. It was a very difficult decision to make, but The job at Penn was more in line with my career goals and interests and paid more, plus it would work better with my school schedule when I went back for my MA and taught in the fall. While it was hard for me to leave my job at Becker’s and a bit of a risk (it was a great job with great people and they had to fill the position ASAP, so if things didn’t work out, there would be no turning back), I knew in my heart that I was doing the right thing. SEO was a small part of what I do. The large part of what I do is writing and social media, which I didn’t have the opportunity to do at Becker’s, but it would be my main responsibilities at Penn. After an offer was made which I gladly accepted after months of working out fine details and waiting, I had a lot of phone calls to make with many different people including my boss, human resources, and the people conducting my background check. Many of these phone calls took place in the car on my way home from working at Becker’s as I finished my final two weeks. Despite the noise of the busy highways and traffic, I never struggled to hear anyone. This was a major accomplishment for me. Before my first day on the job, I had to attend an all day orientation where there was probably 50 people or more in attendance. I had to do many group activities and ice breaker activities. In the past these would always be really difficult for me to participate in because I’d struggle to hear the person in charge of orientation and all of the people in the group. This was also taken place in a very large conference room where sometimes people speaking would be more than 50 feet away from me, but I could still hear every single word everyone said. It made it so I didn’t feel nervous or anxious at all. I’ve now been at Penn for slightly more than 2 months and it has been a very fast paced but exciting journey. I know that I definitely made the right decision to leave Becker’s and take on this position. I am so happy where I’m at. I am still afraid of the phone, but it doesn’t matter too much. I’ve only had to use it for Sprinklr trainings and to call in for meetings, but that doesn’t happen too often. We usually just communicate through IM, e-mail, or in person. I help out a lot with YouTube marketing. I watch the videos and update the titles and descriptions to be more SEO-friendly. I never have to worry about having someone else watch them for me and tell me what they’re about like I used to do when I worked as a social media marketer for WebiMax prior to getting my cochlear implants. I am confident in my new role and feel really comfortable talking with my boss and my co-workers. I don’t get as anxious as I did at some jobs in the past. Sometimes I felt like my hearing held me back when I worked at WebiMax. Not holding me back career-wise, of course (I was promoted numerous times), but until I got my cochlear implant, I worked for over a year or 2 without being able to hear my co-workers and effectively communicate with them in-person which made me feel like I never knew what was going on and like I never got to know my co-workers too well or befriend them. When I finally did get my cochlear implants, it was like the friendship shipped have sailed – I mean they were people I’ve already know for a long time, just never got to really KNOW and it seemed like it was too late. I get along really well with my new coworkers. I can be a very serious person and I’m a bit of a workaholic, but I have fun with them sometimes, too. Once in awhile I go out to lunch with one or more of them or go on a run for frozen yogurt or fruit smoothies or just Dunkin Donuts. It’s easier to make friends with them and to talk with them because I don’t have to ask them to repeat themselves a million in one times. I can pretty much always hear them and follow them. I’ve also been enjoying working in Philly. There’s so many sounds that I am constantly exploring in this busy city. Everyday I’m made more aware of the wonderful gift the Lord has bestowed on me when he granted me my hearing. Commuting to and from work like I do now wouldn’t have been possible before. Every morning I have to buy my patco ticket, septa tokens, and listen to the overhead telling me where I’m at and when I’m at my stop. I order food from food trucks, nearby restaurants, and dunkin and never have any problems (septa being the exception…but my problems aren’t due to my hearing impairment, but that’s another story). I think having my cochlears has definitely helped to open this door for me and aided in the success I’ve had so far. I’m excited to see where this takes me in the years to come. Becker’s and now Penn are just the beginning. Next stop? Teaching. This is so exciting for me. I’ve wanted to be a teacher since I was about 11 or 12 and worked for a summer camp, but I never thought it was a possibility. How could I possibly teach a class when I wouldn’t be able to hear my students and address their concerns and answer any of their questions? Even after receiving my cochlears, it didn’t seem possible. I couldn’t teach elementary school because that would mean going back to school to get teaching certification which would involve student teaching. Student teaching naturally takes place in the day, so I wouldn’t be able to keep my job and student teach. 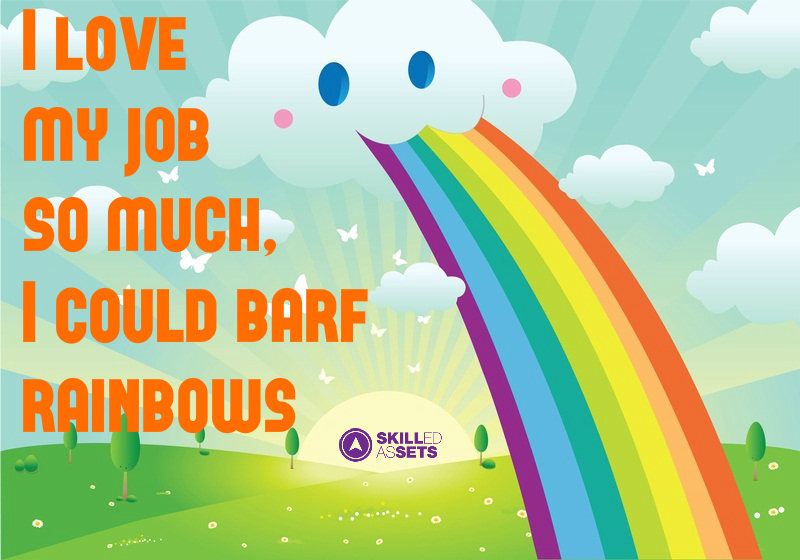 I couldn’t afford to give up my job. I also couldn’t become a professor and teach college level because I’d need to get an MA for that, something I couldn’t afford. In March, I received an email from the Department of Writing Arts at Rowan about the TEP (Teaching Experience Program) available for select MA in Writing Students. Through this program I’d be able to teach as an adjunct professor (and get paid for it) while working towards my MA in Writing. My dream of becoming a teacher was suddenly a very real reality for me. I truly felt like God was calling me to do this. Long story short, I applied and was accepted. I attended orientation for the TEP program a month ago for three days. It felt so good to be back on campus again. I got emotional walking past and listening to some of the sermons going on early in the morning before orientation began because it was the first time ever I could actually really hear them. Orientation went very well and was so much fun. It was my first time ever being in class and being able to hear both the professor and the students in the class. I felt so much more relaxed and less anxious. I got to know my classmates pretty well already and felt very comfortable and open, something I never felt before in the classroom. I teach my first class on September 2nd and have classes later that week. I’m both excited and completely terrified to begin this next chapter in my life and to experience life as not just a student, but a graduate level student with bilateral cochlear implants. 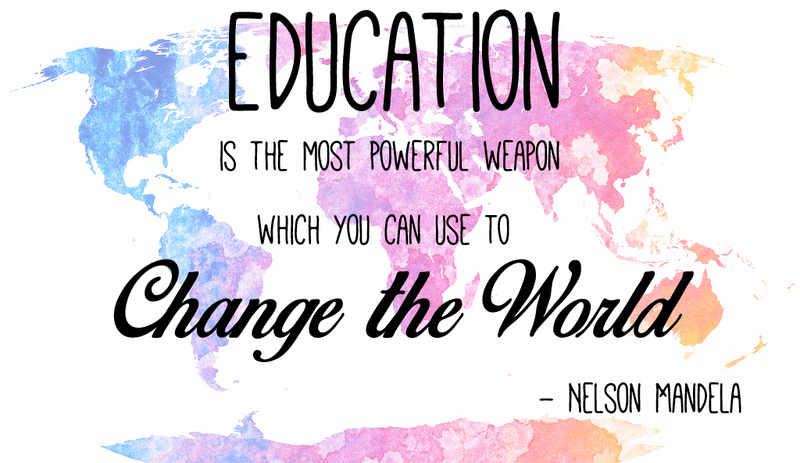 Stay tuned in the upcoming weeks for a post on what it’s like to be a teacher and a student with cochlear implants! If you’ve known me any time in the last 3 years, you’ve probably hear this same old argument from me countless times. I said I wanted to go back to school to get my Master’s in Public Relations. Then I had my heart set on earning a Master’s in English from Rutgers. Some days I wanted to get a third Bachelor’s degree in Psychology. I played around with earning a degree in Marketing, too. Basically I’ve been completely indecisive. For awhile I actually said I didn’t want to earn my Master’s in Writing. I guess after studying Writing Arts for 2 and a half years, I had a enough of it and didn’t really feel like writing anymore. Sure, I had plenty of ideas. I did, after all write a young adult novel on suicide and depression called Escape, which I still have every intention of publishing (I’ll revise and edit it and work on trying to get it published one of these days…I swear”. And there’s still that insane children’s novel about the kids who eat forbidden cheese on a field trip to the moon and end up turning into cheese and having to live an alternative life on the moon… but it still just wasn’t enough for me to want to go through with grad school for it. But getting my cochlear implant changed all of that for me. I had stories to tell, but it’s almost like before, the stories were never really my own. I still have a lot of faith in Escape, but it is a very difficult novel to write. I am writing a novel about a childhood friend that killed himself. In that novel, I am looking for answers. I will never have the answers. I can only speculate and wonder what drove one of the most popular guys in school to end his life so tragically. So Escape is based on reality. But it can never be labeled as non-fiction, because no one will ever really know the truth. And as his classmate, I am an outsider. I will never know what really went on during that time. I only know the rumors and speculations. Escape is a very risky book to write. I have to worry about upsetting the family members of the individual who inspired my book. I have written about him in the past, but very vaguely. I have attempted to interview the family, and ended up cancelling on them because I got the sense that they were so uncomfortable with the interview, that I’d be doing more harm than good with going through with it. Also, while I believe very strongly that the world needs a book like Escape — a novel that speaks the truth about teenagers and how depression is a prevalent issue in today’s teens and how suicide is a huge problem no one wants to talk about — that is just it. Nobody wants to talk or hear about teenagers ending their life. Unfortunately, I believe that this includes book publishers. Going to grad school with the intent of using “Escape” as a thesis and publishing it afterwards— a very big risk that will cost a lot of money. As for my cheese story — I love talking about it. It’s very creative and imaginative and wild — but I don’t have any sense of direction. I have a couple variations of a short story — but I don’t know where this is going for a novel and I’m not sure when if ever I will know. I am still in the thinking and brainstorming process with it. Graduate school will move fast. It will also be very expensive. I don’t think I should go into graduate school with a vague idea and no sense of direction regarding my work. It would be better to hold off on that for graduate school. But now, I do have a story. I have a story that is filled with my own unique voice. I know exactly which directions to take with it because it is my reality. It is my life. I am living my story now. I had to wait to go to grad school because I had to wait for my story to come to me. This — my cochlear —this is it. My blog has served as a bit of a first draft. I am never short on ideas for what to right. Most of my posts are at least 1,000 words long. I have 39 posts and counting. That right there is an estimated 39,000 words or more. A standard novel is estimated to be approximately 50,000 words or more — with that being said, I’m already well over half way there. There’s no denying I have the material for a story. It’s just a matter of writing it — which through this blog, I already begun doing. And I know there is definitely an audience for my book. My friends, family, co-workers, and people from my church have all been following my blog. They love it. They say they are fascinated and amazed by the things I write about. But even beyond that, there’s an audience. There are not many books out there about cochlear implants or hearing loss in general. The few that do exist are either horribly outdated or too technical to understand, or both. There isn’t a lot in the way of inspirational stories that people can connect with. If you are considering getting a cochlear implant, good luck finding a book in your local bookstore written by someone who went through with it and can tell you what it’s REALLY like. You might find one if you’re lucky. Never more than 3. My book can also fall into many categories — inspirational, Christian,motivational, etc. It’s very uplifting and of course I attribute much of my success with my cochlear to my faith and belief in god. After all, my book is called “God Granted Me Hearing”. You don’t get much more Christian than that. I want to go to grad school because I believe that that will be the thing that helps me to really bring my book to life. I plan to use my book for most of my assignments and my thesis project. I will spend a great deal of time in grad school working on this book. I know my professors can help point me in the right direction and help me to polish it and get it published, too. I am extremely familiar with the professors I’ll have as a graduate student in Rowan’s Master in Writing program. I had a majority (if not all) of them as an undergraduate Writing Arts student. I loved my professors and learned very much from them and will be excited to continue learning more from them at the graduate level, especially now that I have a clear grasp of who I am as a writer and what I want to do. There is just one thing that might be holding me back now — graduate school is very very expensive. It is estimated to cost me a good $24,000. I do not have $24,000. I filed for FAFSA this weekend. Unfortunately from what I’m told, FAFSA does not give you grants as a form of financial aid as a graduate student like it does if you’re an undergrad. It will merely tell you what kind of loans you are eligible for. Like most of my peers, I am already deep in debt from undergrad. I currently owe approximately $20,000 to be paid off during a 10-year time period. My debt is nothing compared to most people’s, but it is still not easy to pay off. I have already had to defer payments once and have frequently been late on payments because with my current income, $200+ per month is not always doable. By going to graduate school, my student loan debt will more than double. It could take me more than 20 years to pay it all off. It makes sense for many of my classmates who are taking on careers such as that of a doctor or lawyer, but when you’re a writer the future is very very very unclear. My book could become a bestseller. My book could end up never being published. You want to think positively, but when there’s $44,000 worth of debt on the table, it becomes difficult. You need to think long and hard about your ROI, and it’s completely up in the air. And that is hard. I’m 25 years old. Yes, I am young, but at the same time, I am getting older. I am in rush at all to get married or have children now. But I do want these things. I want these things very badly. 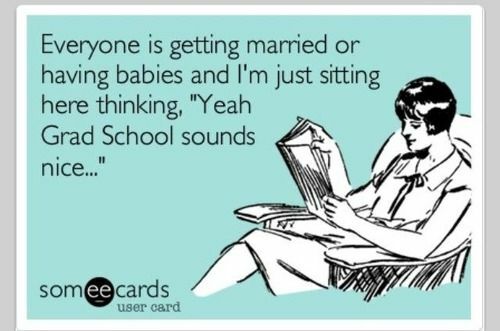 Ideally, I’d love to get married in the next 4 or 5 years and have kids in the next 6 years or so. But if I put myself into $44,000 worth of debt — i don’t know that this will be possible. If it is possible — it’s not fair. My future husband would be marrying into debt. My future children may not be able to have all that they deserve because of debt. That is not fair at all. 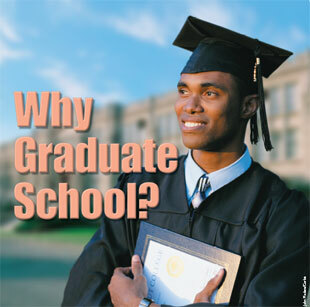 Graduate school always sounds like an amazing idea. How could going to school and furthering your education and bettering yourself be a bad thing? But when it comes to debt, it is. It is like you get punished for wanting to be well-educated. It’s not at all right. In my opinion, college and graduate school really should be free. Unfortunately in our country that must be an unpopular opinion, because I don’t see this happening any time soon. I have an amazing amount of support coming from my boyfriend, my family, friends, everyone around me. I know they would support me wholeheartedly. My boyfriend even said he’d like to help me when he can. While I definitely appreciate this offer, it’s not one I could ever see myself accepting. It’s just way too much. There is one thing that could help me get to graduate school without it being a major debt sentence — a graduate assistanceship. Graduate assistanceships are known to pay about half (sometimes even more) of the cost of grad school. They also pay a stipend which can be used however you choose — which in my case would be towards graduate school. This would definitely make graduate school affordable for me. I will go through with graduate school if I can get an assistanceship. This is the only way I will go through with it. I refuse to allow myself to take on an extra $24,000 of student loan debt. I contacted my former professor who also serves as the director of the Master in Writing program at Rowan last night asking for some guidance in regards to what to include with my application and asking if he could help point me in the right direction for landing an assistanceship. I will also be sure to keep an eye out for any postings. I cannot apply for them yet because I need to be accepted into the program first. I have not yet applied. For now I need to work on the application. My application is due in August. I need two letters of recommendation (still toying with who to ask for those), an 8-10 page writing sample (considering submitting my blog — they say that can be acceptable. I asked Professor Block but I’m still waiting for a response), my resume, and an application along with the $65 fee. More than anything right now though, I need prayers. I am putting everything in God’s hands now. If it is my will to go to graduate school, I know the Lord will bless me and make it possible. After all, it was the lord’s will that I gain the gift of hearing, and I can hear now, right? Everything in my life is a part of God’s plan, and maybe, lord-willing this is the next step to take in fulfilling his plans for me. Only time will tell what God’s plan for me is.